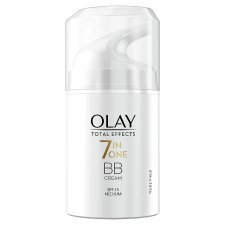 Olay Total Effects 7in1 BB Day Cream for Medium Shade with SPF15 is an anti-ageing moisturiser for even skin tone. 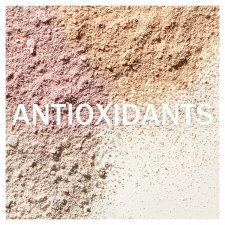 It fights the 7 signs of ageing for a radiant and fabulous skin while a touch of foundation instantly evens complexion. 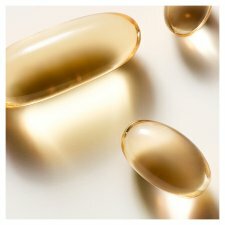 It’s Olay’s simple, smart approach for youthful, healthier looking skin that can better stand the test of time. It gives 7 skin benefits in one product: 1. Reduces the appearance of wrinkles 2. Moisturises 3. Evens skin tone 4. Refines look of pores 5. Smoothes the texture of the skin 6. Brightens 7. Helps to restore skin's firmness.It contains Niacinamide and Antioxidants. Olay Total Effects BB Cream exfoliates to enhance skin’s surface natural self-renewal process for healthier looking skin. Its non-greasy, fast absorbing formula will not clog the pores of the skin. Smooth evenly over your face and neck every day. Avoid contact with eyes. If eye contact occurs, rinse well with water. If skin or eye irritation develops, discontinue use.